In your Canvas modules it is possible to choose which view you would like to set as the home page. There are a number of different options to choose from, depending on how you would like to present your content and direct your students. It is very easy to set your chosen home page allowing you to quickly customise your module site. The activity stream displays the latest activity within your module site including recent announcements and discussion forum posts. 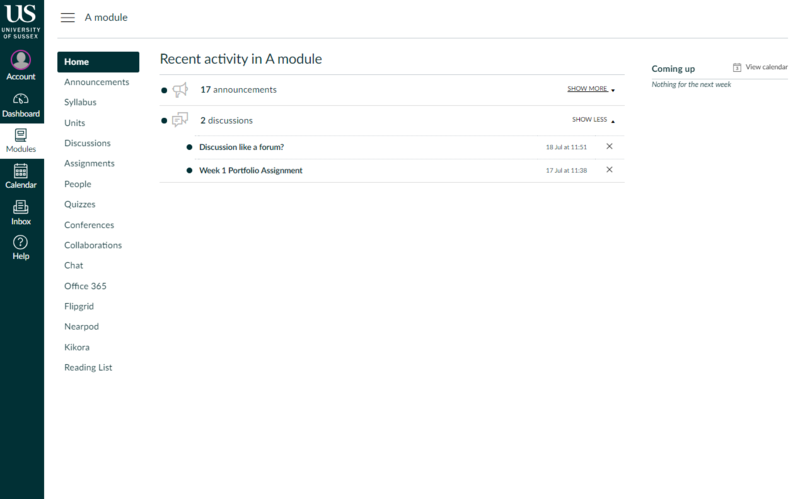 This option allows your students to easily keep up to date with the content of your module and any important updates. This could be any existing Page within your module site. This option allows you to make use of Canvas’ Rich Content Editor to include images and videos, customise your fonts and heading and include links to other pages and activities, creating a more visually appealing home page. Units is the default view and acts as table of contents for your module. 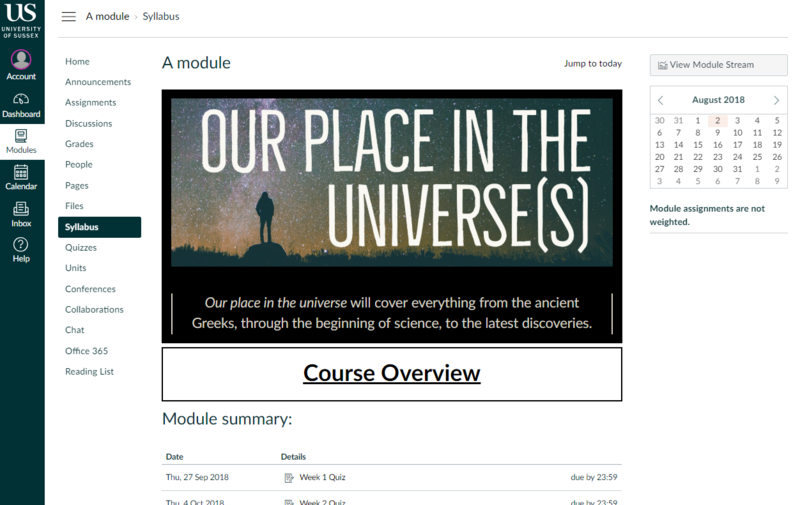 This allows you add different elements, including Pages, External links, Quizzes, Reading List items and Assignments, helping to guide your students through the module content. This view collates all of the assignments for that individual module, presenting these in a list for students. This will include contributory assessments, which are populated by the University’s database, as well as any non-contributory assignments that you choose to create. 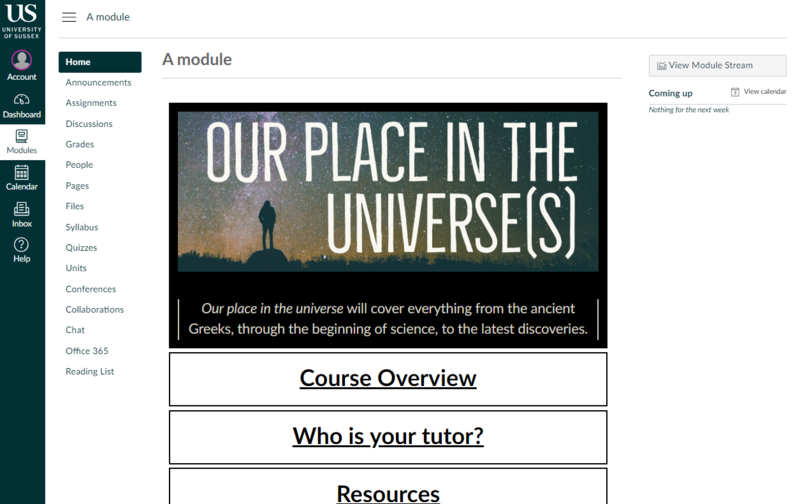 The Syllabus combines the option to add text and media using the Rich Content Editor, as you would with the Pages front page option, with all the key dates for the module. This would include for example assessment deadlines. 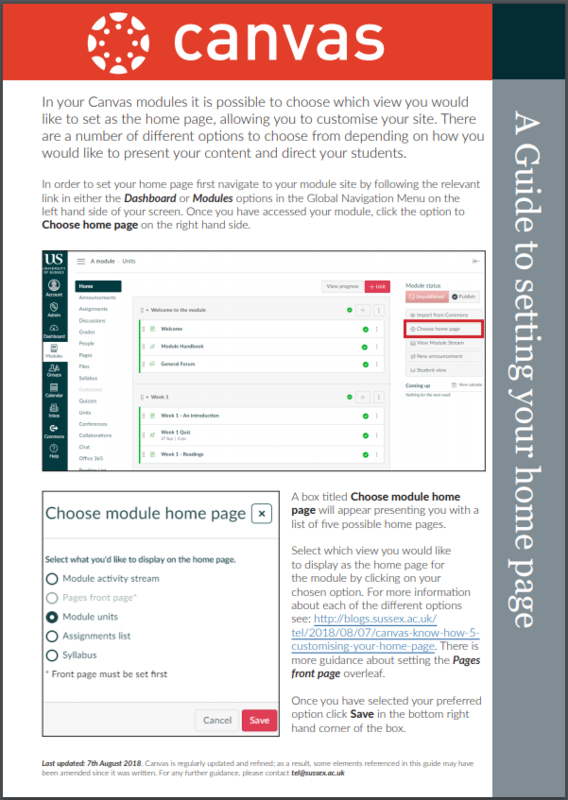 To help you get your module site ready for the start of the Autumn term, TEL have created a step by step guide to take you through how to set your module’s home page. 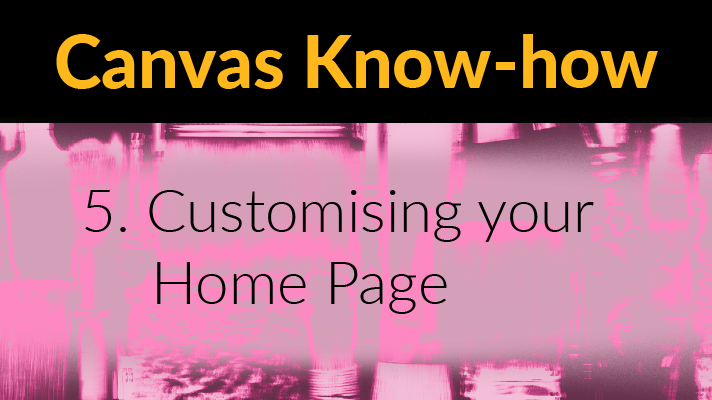 You could also use Canvas’ own guide – How do I change the Course Home Page?. If you have decided to use the Pages front page option you will first have to follow these instructions – How do I set a Front Page in a course?. 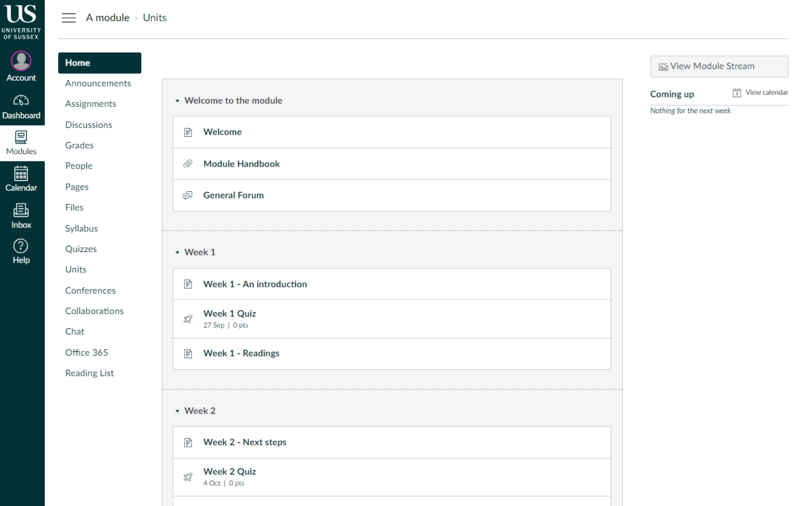 Please note that by default Canvas uses a different terminology, referring to modules as “courses”. Canvas Fundamentals training provides an essential introduction to the University’s new virtual learning environment. We strongly encourage all Sussex academic staff to sign up for a place. Attending the workshop will familiarise you with Canvas and your options for teaching with the new VLE. It also gives you access to your migrated modules from 17/18.